I have been thinking about writing this for a week now. This list is meant to be a little entertaining and just give you a taste of the amazingness I found in Japan. 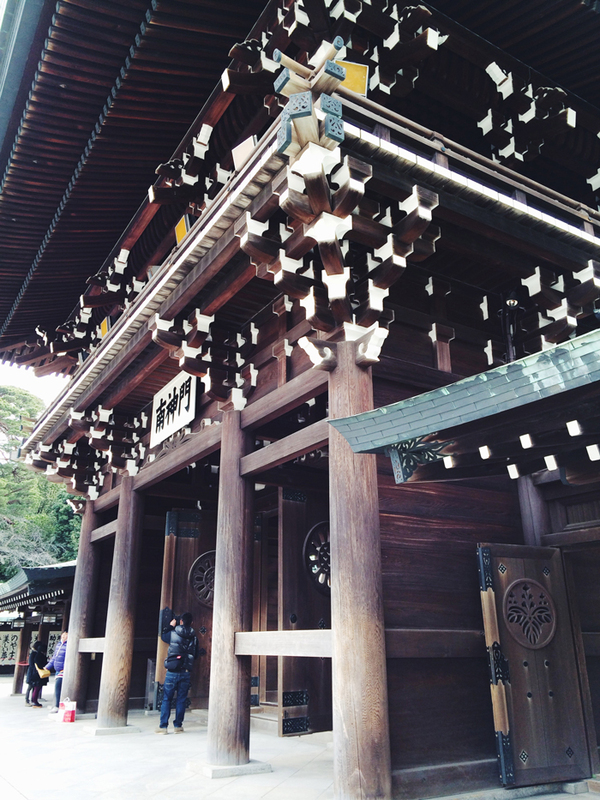 There is no way I can capture of all the depth and beauty to be found in Japanese culture. I was only able to leave the hotel for just a few days! 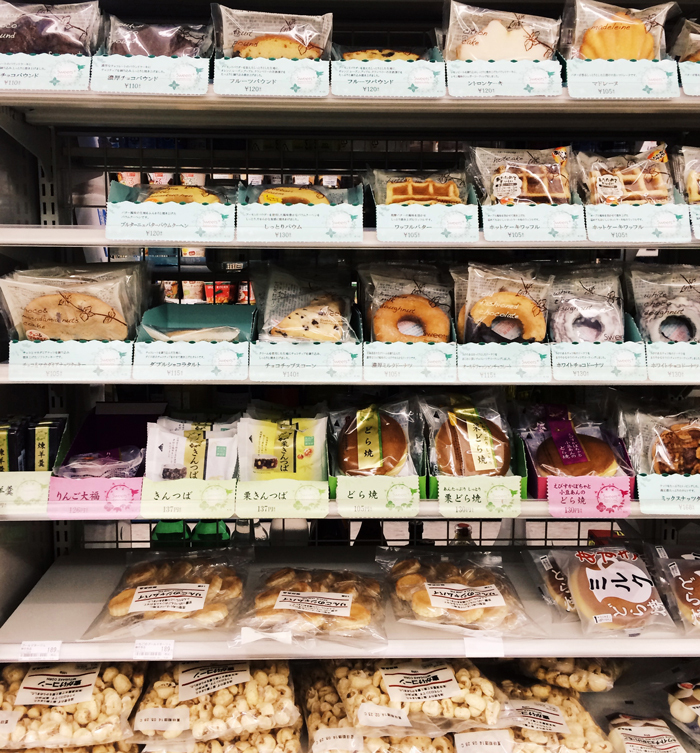 So here is my list of things I loved in Japan, or rather why all Southern women need to go to Japan. Kindness. The Japanese are VERY kind. They go out of their way in everything to never shame or embarrass someone. I don’t think I’ve ever said “thank you” in such a short period of time. And bowed! That’s all I knew to do since I didn’t know anymore words to tell them my appreciation. Bow a lot if you want to be polite. And you’re gonna want to be polite. You are representing your country. Show some proud. Gracefulness. Everywhere I went, I was consistently a little jealous of how graceful they were at pouring tea. It was beautiful to watch their hands move. They move their hands differently that I do! It’s so pretty and we are so awkward. Work Ethic. Everyone takes pride in their jobs. Work is very important. That means all the public toilets WORK. And aren’t disgusting at all! Toilets. Which brings me to my next point. Their toilets are way better than our toilets. The toilet seats are HEATED. Since I was there in January, I can’t tell you how much I loved that little thing. And water starts running as soon as you sit down so no one can hear anything. The Japanese get the little things in life. Convenience Stores. Japanese convenience stores ARE AMAZING. They have the CUTEST food. The baked good at the 7-eleven blew my mind. I thought I’d run in and get a Snickers or something. Oh no. It’s way better. Delicious and beautiful and all for about $1. The only thing I can compare it to is a fancy bakery where everything starts at $5 each. It’s an adventure going and Dave always was shocked with my huge bag that I’d return with and I’d say “I just spent 1,000 Yen!” Thats just $10, y’all. Below is a photo. Cabs. 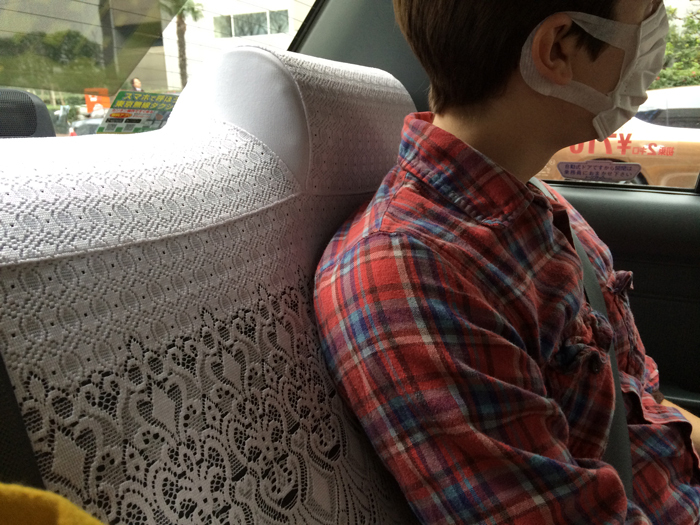 All of their cabs have lace covering the backseat cushions!!!! WHAT. And I didn’t get in a cab that had a horribly loud TV playing. Masks. Oh. I’m sure you’re wondering why Dave is wearing a mask, right? If you are sick even with just a cold, you wear a mask in Japan! Everyone was doing it. It’s a way to prevent your sickness from spreading to others. I wish someone had done that for me last February when I got the dang flu (I think I got it from my gym). Cab Ride. When the cab ride is over, there is not a mad rush to hurry out of the cab. You put your money or card in a tray, then the driver puts your change or receipt in the tray and hands it back. Civilized. Not rushed. Good ole fashioned service. I know most of us don’t remember what that is like, right? Service. OH! There are no automated card readers where you swipe and enter your pin! At every single place (including convenience stores!) you put your card in a tray on the counter. They swipe the card then hand you a pen and a receipt to sign. You put that back the tray and THEN they hand your card and receipt to you. And they make eye contact and smile! It’s incredible. Revolutionary. Why isn’t this happening in America! Why did service have to leave us! Packaging. They package and tape up everything and they do it beautifully. Including $1 little snacks from the 7-Eleven and FamilyMart. It’s all about presentation and service. I didn’t spend near as much money as I felt like I did, because the service made it seem so expensive! Standing in line. They stand in line waiting for the subway. There is tape on the floor directing you where to stand at the convenience store. You know when you’ve been standing in a long line and then someone cuts in. Nope. That’s not normal there. Pencil cases. I have the hardest time finding a cute pencil case here. Not a problem in Japan. I love a good pencil case. Pens. The cutest pens you’ve ever seen in your life. Washi tape. Need I say more? Nope. Stationery. I’m probably going out on a limb here and unintentionally offend a bunch of my designer friends. I love their stationery more. Fabric. Also about to offend more friends. Their fabric is incredible. I was blown away, and let’s all get real for a moment. I’m very very VERY critical when it comes to pattern. Let’s just put it this way. If we have children, I’m ordering fabric from here for their clothes. If you don’t know who Nani Iro is, google her now. China. Their china (dishes and stuff) are way better than ours. I went to a department store and was blown away with the selection of chinas. The only option I had to register for our wedding in Yazoo City was Jars or Vietri. No thank you. I LOVED their china. LOVED IT. Wanted to ship it all home to our tiny kitchen. Ramen. Here in America, all we think is Ramen noodles. No no no no. Not the same thing at all. 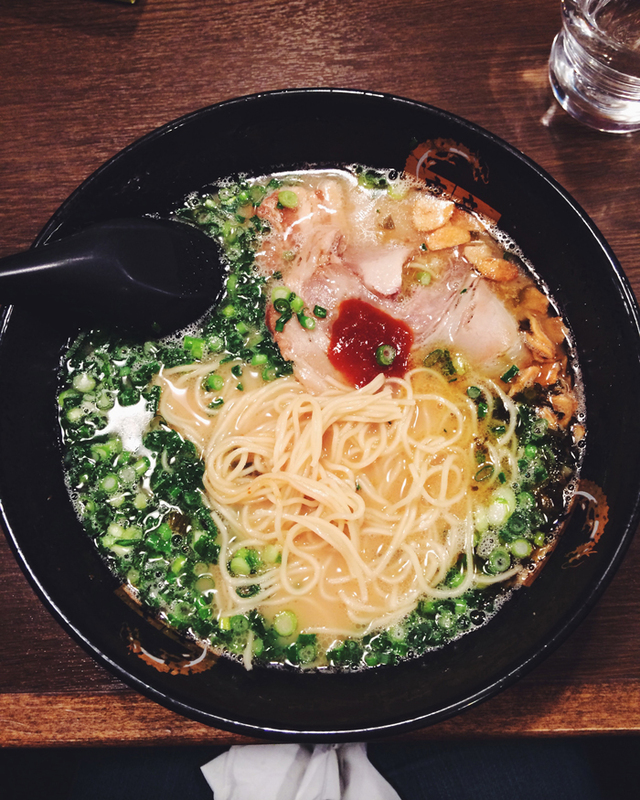 It’s cheap, amazing and delicious noodles and broth that you just have to go to Japan to experience. From what I’ve been reading, sadly it’s really hard to find good ramen in America. Below is a photo of the best ramen I’ve ever had. And it was only $8. Sushi. Poor Dave has know I’ve not liked sushi. But I tried some there and loved it. It’s kinda the same thing as eating fried chicken in Detroit, Michigan! Don’t do that! If you want real fried chicken, you come down South. Same goes for sushi. And ramen for that matter. Go to Japan. Chopsticks. Y’all. There’s pretty much no way you could have sucked as bad as I did at using chopsticks. I was nervous about using them in public, but when in Japan, you just gotta. I’d like to brag that our waitress complimented me (and NOT Dave) at my chopstick skills! I laughed SO hard but apparently practice makes perfect. Oh! Also, do NOT scratch your chopsticks together. That is considered rude, like their chopsticks aren’t good enough. Also put them back in the paper case at the end of the meal. That is being considerate to the servers. Manners matter. Cherry Blossoms. I must go back in the spring to see the beauty. Shoes. Oh my goodness I felt I was constantly taking off my shoes but I eventually got used to it. And the they were very understanding and gracious when I messed up. You’re even supposed to take off your shoes for the bathroom and put on bathroom slippers. Automobiles. 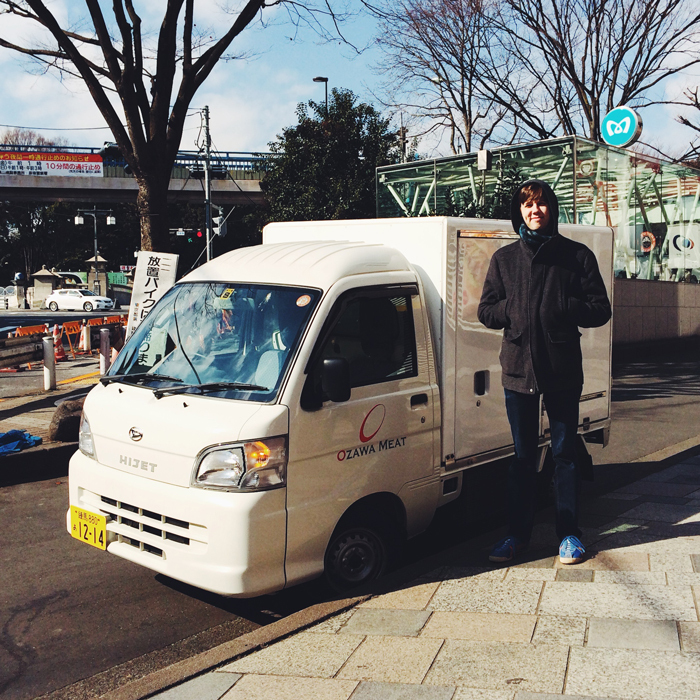 They actually have CUTE minivans in Japan. Like, I wouldn’t want to just give up on life if I drove one of them! I wouldn’t want to just live in a houserobe and perm my hair. HA! And the trucks are adorable. We aren’t talking Fords vs. Chevy. Here is a photo of Dave with one of my favorite cute trucks. I want it. Maneki Neko. Anyone that considers a waving cat is a lucky charm, well they need to be my friend. MarioKart. Japan is the home of Nintendo and for that, the world is forever grateful. The Language. Now hear me out on this one. If you’ve heard me speak, you know just how thick my Southern accent is. I took Spanish two years in high school which did not go well. It was the rolling of the “R’s” that I just couldn’t handle. If I was to speak German or Russian, I’d assume I’d be spitting most of the time trying to enunciate my words. But look y’all, Japanese isn’t like that. It is possible for a thick Southern accent to pull off speaking Japanese. It’s definitely different but it’s SO fun to speak once you get the pronunciation down. It was one of my favorite things to hear over the intercom on the subway, “next stop Yoyogi Station.” Writing it doesn’t do the cuteness justice. Yoyogi is one of my favorite words now. Poor Dave has heard me say that word over and over just like the woman did haha! Calligraphy. Well it’s just beautiful. I could just stare and study it all day. Calligraphy is so boring now to me compared to the wild and beautiful letters to be found in Japan! Shibori. Did you know it originated in Japan? Unfortunately I did not get to see any while I was there. This is why I must go back. There is only 29 reasons, sorry to be picky.. but.. 29’s not 30.. I just spent a month living in Japan and found it and its people to be amazing. The Japanese are the most polite and kind people I have ever met. I was there during Sakura (cherry blossom season) and saw how the Japanese worship the Cherry Blossom it was so beautiful to witness this. I met lots of French Tourist who told me the “its too late for the West” and I have to agree the West are so far behind the Japanese culture in how to live and respect. There is very little crime in Japan (i’m sure they have their gangs) but on returning to Australia I am horrified about how much crime there is in my city from people who have just moved here (disaffected youth from African countries who feel they don’t fit in to Australian culture). To walk around such a huge City as Toyko and see people park their bikes unlocked overnight and not get stolen blew my mind. I only wish Australia was as safe.